A backcountry skiers stands in a human triggered avalanche slide path in the Front Range forecast zone earlier this week. Avalanche danger in Grand County spiked to considerable overnight following a storm system that deposited nine inches at Winter Park Resort over the previous 24 hours. On Thursday morning forecasters from the Colorado Avalanche Information Center, or CAIC, issued a daily avalanche forecast of considerable for Grand County, and the larger Front Range avalanche forecast zone. According to research conducted by officials from the CAIC and other entities most fatal avalanches occur when the danger level is rated as considerable with the greatest increase in fatal accidents occurring in the transition between moderate and considerable. 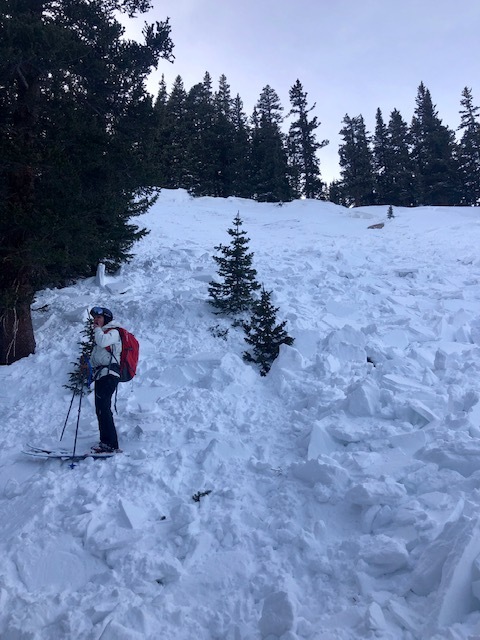 Thursday’s considerable avalanche forecast comes one day after an avalanche buried a rider on Jones Pass, which is on the county line between Grand and Clear Creek Counties southwest of Berthoud Pass. Forecasters from the CAIC noted the avalanche occurred on a northeast-facing slope. An avalanche observation report on the incident further notes the slide occurred below treeline. The current avalanche forecast for Grand County is considerable above and near treeline but drops to moderate below treeline. Officials from the CAIC easterly slopes will be “most suspect as this is where northwesterly winds will drift snow.” They further noted that any avalanches triggered in the wind-drifted snow will have the potential to “step down to deeply buried weak layers.” CAIC forecasters say they are seeing avalanches on easterly slopes that fail two to three feet deep on soft faceted layers near buried crusts. 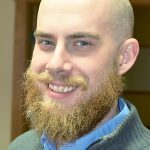 Forecasters highlight wind slab avalanches and persistent slab avalanches as the primary avalanche concerns for the Front Range zone on Thursday. Wind slab avalanches are most likely to propagate on northeast, east, southeast and south facing aspects above and near treeline. The CAIC forecasts a “likely” probability for such avalanches and predicts that any wind slab avalanches that do occur will be large to small in size. The CAIC’s persistent slab predictions indicate that such slides are most likely to occur in north, northeast, east and southeast facing slopes above and near treeline. The CAIC forecasts a “possible” probability and predicts that any persistent slab avalanches that do occur will be large in size. Forecasters are anticipating a drop in avalanche danger for Friday though with all three zones, above near and below treeline, expected to see a forecast of moderate.